Dickens called David Copperfield his "favourite child," and many critics consider the novel to be one of his best depictions of childhood. 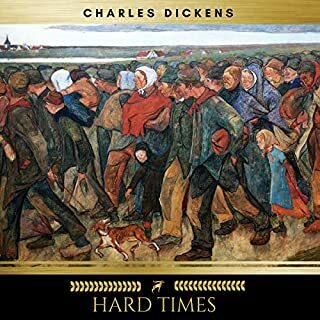 Set in early Victorian England against a backdrop of great social change, Dickens acutely observed the phenomena of the Industrial Revolution and used them as the canvas on which he painted the novel. Many consider David Copperfield to be the author’s finest work. Would you consider the audio edition of David Copperfield to be better than the print version? 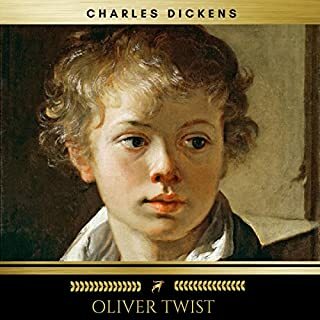 For me, the audio edition of David Copperfield was every bit as good as a book. I think Dickens in particular lends himself well to audio interpretation. The special magic of the audio version for me is that it recalls that comforting feeling I had as child; of listening to my parents read a story and being carried away into another world. What was one of the most memorable moments of David Copperfield? It is impossible for me to chose a moment that was more memorable than others. David Copperfield is one continuous rollercoaster ride of joys, sorrows, hardships, heartbreak, tearful departures and joyous reunions. The cast of characters include some of the most memorable villians, noble women, cruel step-fathers and loveable unfortunates ever penned. It is first class Dickens. Peter Batchelor is perfect for Dickens. He is an entire cast of voices. His sure control of tone, mastery of timbre and accents are a delight. Being a baritone, Batchelor's only difficulty comes when playing women and children. Uriah Heep will make anyones skin crawl. The dialogues are particularly brilliant. In these, Batchelor needs to switch between characters, finding exactly the right voice for one and then answering immediately in another. It is dazzling stuff but the virtuosity is never at the expense of the narrative. One imagines this was the way Dickens himself would have read for his friends; revelling in the characters; growling, squeeking, lisping, mimicking accents and enjoying every minute of it. Dr. Stong is married to Anne, a very beautiful and much younger woman. Uriah Heep has contrived to cast suspicion in the mind of the doctor that his wife had taken a young lover. Deeply in love with his wife, he is willing to let the situation fall into silence in order to keep her. Never confronted, Anne is neither guilty nor innocent. It is then revealed that Heep is a villian. This provides Anne Strong with an opportunity. The words that pour forth are some of the most beautiful and deeply moving in any book I have read. Peter Batchelor does more then justice to Dickens' epic fictionalised memoir. As a first-person narrative it is ideally suited for the intimacy of the audiobook format, and Batchelor is throughout at one with the material, his deep baritone rolling on with unflagging verve through the yarn's decades. Unavoidably he recedes a little on the female parts, particularly the vapid ingenue Dora, but his range and variety on the male characters is vast. My favourite was the Cockney climber Uriah Heep, but the country boatman Dan Peggotty's tones were rich and dark as gravy on the ear. 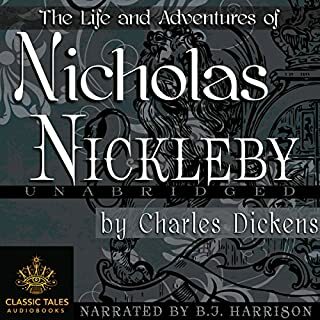 Dickens' themes of upbringing and maturity are woven densely through the story, which is studded with moving moments as well as richly comic scenes, mostly involving the hapless Mr Micawber. After 32 hours the end left me wanting more. Would you listen to David Copperfield again? Why? No, I already know the outcome, but as I read it, I did replay several scenes because they were so delightful. What other book might you compare David Copperfield to and why? What does Peter Batchelor bring to the story that you wouldn’t experience if you just read the book? wonderful expression...he does the voices of the different characters that brought the book alive. 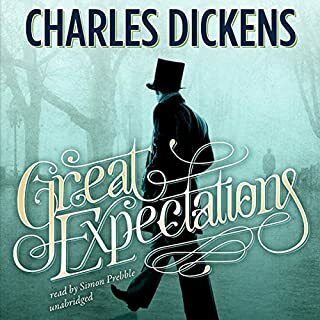 I can't believe how much of a listening "page turner" it was..because of Dickens's always-interesting and entertaining characters. Had I simply read the story, I don't think I would have imagined a lot of the characters's voices...This narrator was really perfect for this novel. well, you can't because it is so long. This was my first time listening to non-fiction. I do a two hour commute every day (both ways) and I can't recommend this book enough. At first I was concerned that maybe I would forget the previous day, so I checked out a copy from the library to review sometimes a little bit before the next time...but I only had to do that a couple of times.I even did my weekend 3 mile runs with this in my iPod! Another first for me...I highly recommend this book.. 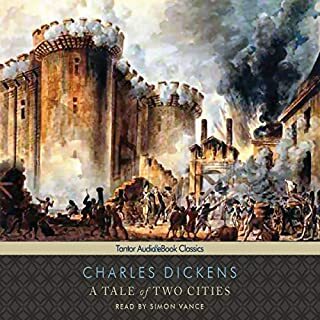 In fact, I am going to purchase another Dickens book read by this narrator.It is one of my favorite books so far from audible...and I've been a member for over three years. yes, I will listen to it again. this was one of the best read books I have heard so far, I would highly recommend it! I really enjoyed David Copperfield. 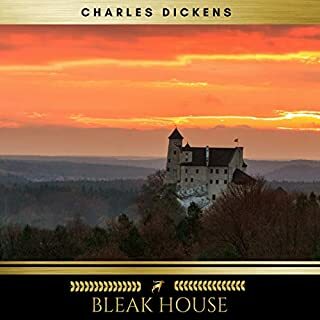 Not as good as Bleak House, but still one of Dickens's best. The reading was very good. The quality of the recording, however, was not. I regularly noticed switches in volume and, I believe, recording sessions (even within the same sentence) in which the narrator's voice altered. For .99 cents, I won't complain too much! This audiobook was very hard to hear and understand, the audio recording was not up to par. I ended up downloading another reading. The narrator was great, but it was a pretty quiet recording and there were quite a few moments when it was clear that recording stopped and started, and there were some strange volume inconsistencies. But I paid 97¢ and it was a good deal for that price. This is a marvelous classic tale, and the style in which the characters are brought to life through the narrative and performance of Peter is out standing. A great classic and well read. Say what you will about Charles Dickens’ novels But I love them and this is one of my favorites. I understand that one’s opinion about the narration is a bit subjective but I thought this particular narration was excellent. And that made a big difference for me. 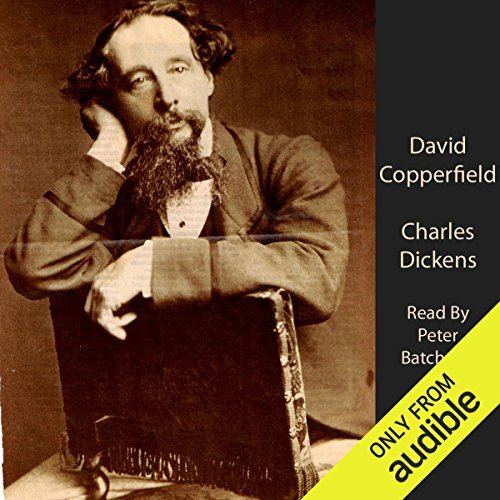 There cannot be a better narrator for a Dickens work, so if you “must” listen to David Copperfield, choose this one. But if you’re browsing for a good book, move on...Dickens was being paid by the word, and that fact comes through. This was not quite as tedious as 20,000 Leagues Under the Sea, but I put it on the same shelf. What did you like most about David Copperfield? The story is a classic, dickens' favourite. The narration, by Peter Batchelor, is deep and his fruity voice brings the many characters to life. In terms of an enjoyable scene I would look no further than the come uppance of Uriah Heap. A perfect climax to one of Dickens's most despicable characters. Lots of poor editing where the voice tone is clearly different, and new sentences starting very quickly after the previous, made the story difficult to follow in places really spoiled what is an excellent tale. I have not experienced this with any audible book before. Enjoyable book and quite well read. Good value for money for such a long story. I would definitely recommend it . A classic story well read. Reminds what a great story teller Dickens was. I will listen again happily! Im not convinced everyone would like this one. I get vibes from the book "Great expectations" in more than a few ways, but this feels way more dragged out. It does have more characters and character development, enough to keep it interesting most of the time. Nothing really, has a perfect balance of tragedy and happiness as well as drama and love. Could use more conflict since most of the conflict does not effect the main character, but is between his friends. What does Peter Batchelor bring to the story that you wouldn’t experience if you had only read the book? He did a fantastic job making each character unique and SUPER consistent. Really enjoyed that and it helped a lot keep the characters separate. Not a particular moment but the relationship between Copperfield and Emelie, a constant theme throughout the book that really was moving from the day they met. If you could sum up David Copperfield in three words, what would they be? More engaging than what came before, but a bit Return of the King. The challenge with Dickens is to come up with distinct voices for the huge casts of characters. Batchelor does an admirable job. Not to the same extent as with other Dickens books. The plot is not stellar. Half way through, I wondered if it was actually going anywhere. One of the best narrated books I have heard for years .Peter Bachelor is fantastic. He also reads Oliver Twist .which is equally as good. BUY IT YOU WILL NOT BE DISAPPOINTED. Captivating and very well narrated. The story itself is a masterpiece. Coming to the end now, I feel like I am missing a friend - the sign of a great book. The narration is excellent. Each character's voice distinctive and perfectly suited. The only (very) small thing I noticed is that occasionally I could hear where a few words in a sentence had been re-recorded later. This was so minor it didn't impact my enjoyment at all. I'll seek out Peter Batchelor's works again.